In 2006, Cape Cod Life Magazine featured Michael Lach as an up and coming leader. Excerpt: “From childhood, when he hiked trails around the Cape Cod Museum of Natural History in Brewster with his parents, Michael Lach has felt a calling to preserve the natural beauty of Cape Cod. In 2008, HCT was recognized by the Association to Preserve Cape Cod (APCC) for our high profile, innovative land protection and land stewardship successes. On April 25, 2012 at Boston’s historic Faneuil Hall, the U.S. Environmental Protection Agency (EPA) New England Region honored Harwich Conservation Trust with an Environmental Merit Award for HCT’s leadership in forging public-private partnerships and creating the Save Land – Save Water Initiative to preserve critical lands that protect water resources. In this vein during 2011, HCT was the leader of the Mill Pond Woodlands Project to protect the public drinking water supply for eleven well sites in both Harwich and Chatham. Ultimately, the Trust’s partnership-building effort resulted in the Town of Harwich and the Town of Chatham each buying approx. one-half of the landscape for $500,000 each funded by the Community Preservation Act. Meanwhile, the state Executive Office of Energy & Environmental Affairs and the state DEP each supplied a $500,000 land protection grant. The net cost to each town was less than $13,000 per buildable acre in Community Preservation Act dollars, meaning that the funding was designated by town meeting voters for open space preservation and so did not compete with other town funding needs like the schools, roadway maintenance, emergency services or other important town projects. 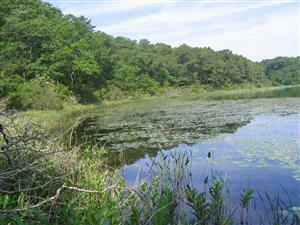 To ensure permanent land protection, the Harwich Conservation Trust and Chatham Conservation Foundation jointly hold a conservation restriction on the entire 38.7-acre tract that links to another 235 acres of open space. In 2012, the Cape & Islands Chapter of the American Red Cross honored HCT Founding Trustee & President Robert Smith for his 23 years of board leadership and land-saving success. 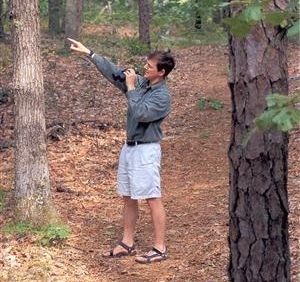 Under his guidance, HCT has preserved hundreds of acres to protect the public drinking water supply, coastal water resources, ponds, wildlife habitat, walking trails and scenic views. 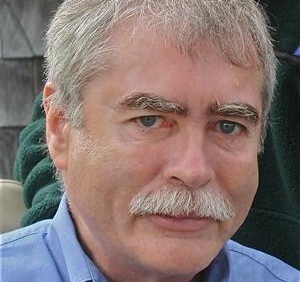 The award goes on to say “Whether working with families to preserve lands for future generations or working collaboratively with municipal, state and federal governments to forge public-private partnerships, Smith skillfully navigates the nuances of land protection to negotiate critical acquisitions that sustain and enhance our quality of life on Cape Cod.” Bob passed way on April 7, 2015. Click here to read a tribute. 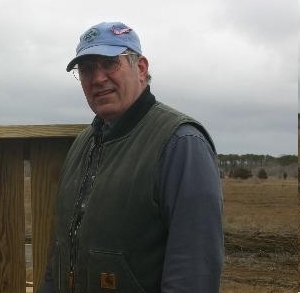 In 2013, The Board of Directors of The Compact of Cape Cod Coservation Trusts, Inc. unanimously chose Robert F. Smith to receive the Ansel B. Chaplin Award for Excellence in Preserving Open Space on Cape Cod. Named in honor of The Compact’s founding President, Ansel B. Chaplin of Truro, this award recognizes and celebrates significant work by an individual or group of persons to increase the amount and quality of legally protected conservation land in Barnstable County. The award could be for a single major project or a lifetime of dedication to the cause of open space. Volunteers who have inspired others to join the cause are particularly noteworthy. Recipients of the award include the late D. Isabel Smith of Harwich, the late Charles H. Thomsen of Orleans, Henry Kelley II of Dennis, Susanne Goodman Hallstein of Falmouth, the late Robert G. Hankey of Wellfleet, Anne G. Gould of Cotuit, Henry Lind of Eastman, Celine Gandolfo of Provincetown, John Nye Cullity of Sandwich, Andy Young of Chatham, Barbara Birdsey of Centerville, and Richard Johnston of Dennis. In 2016, Points of Light, a national, independent, nonpartisan, non-profit focused on promoting volunteerism, certified the Harwich Conservation Trust (HCT) as a Service Enterprise, which is defined as an organization that effectively engages volunteers to successfully deliver its mission. 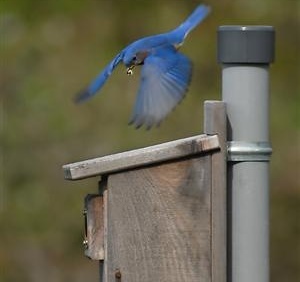 HCT’s mission is to preserve land that protects woods, water, wildlife, and the shared quality of life in Harwich. Points of Light has offices in Washington DC, New York City, Atlanta, and Singapore. HCT’s rigorous assessment of its volunteer program included over 100 hours of training, consulting, and volunteer program planning to ensure HCT’s volunteers are connected with HCT’s day-to-day operations and long range plans in meaningful ways. Click here to read more.